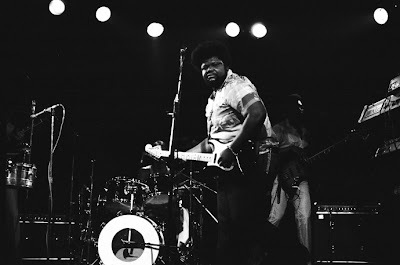 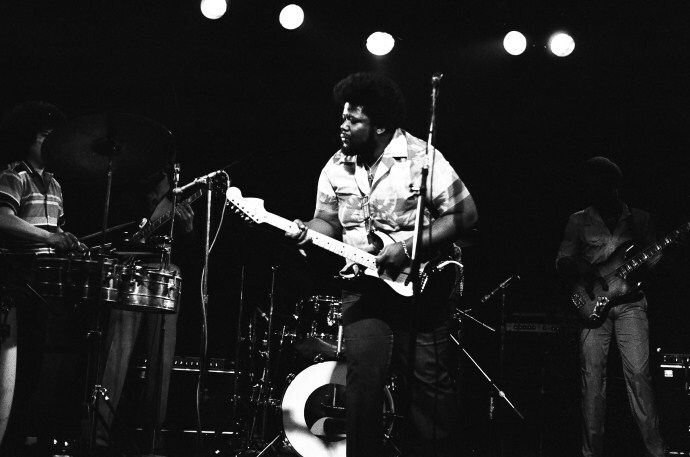 Buddy Miles is a singer, guitarist and drummer who played with with Ruby and the Romantics, The Ink Spots, The Delphonics and Wilson Pickett before forming The Electric Flag with Mike Bloomfield. 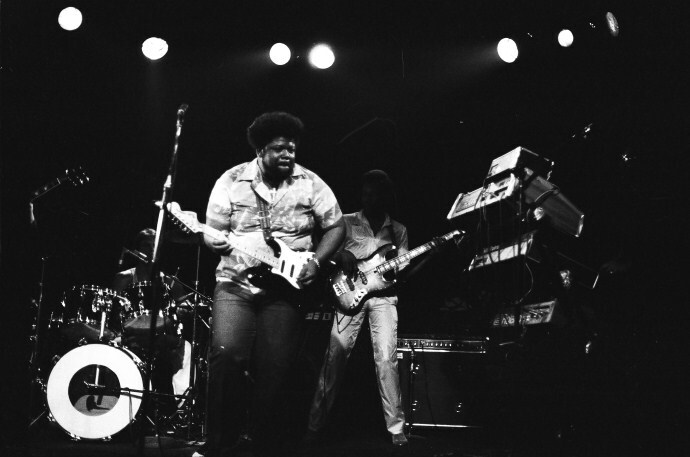 After the Electric Flag broke up, Miles formed The Buddy Miles Express with guitarist Jim McCarty (later of Cactus). He later hooked up with Jimi Hendrix and played drums on several tracks on Electric Ladyland and Band of Gypsys (which he was originally a part of. Miles released an double LP titled Sneak Attack in 1981 with his band Buddy Miles Regiment. 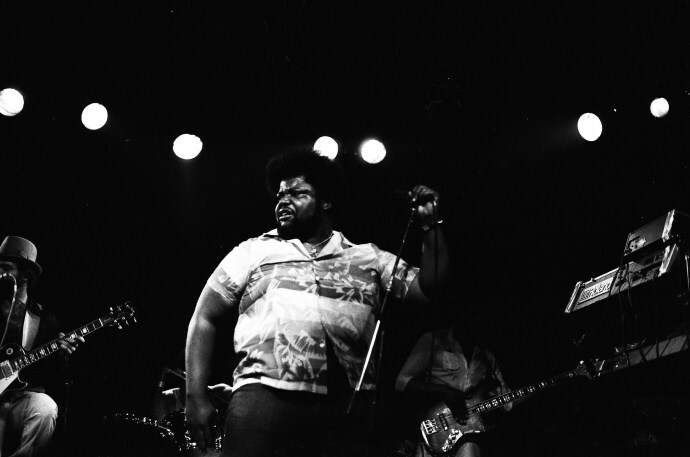 I photographed Buddy Miles around this time but do not know much about the band or who else was in it. I used a 50mm 1.4 lens with my Pentax ME at this show. It is one of the very few times I did not shoot with my 120 mm telephoto lens.